Availability: You can buy it even from a grocery shop, it is easily available, of course you can buy it online too. 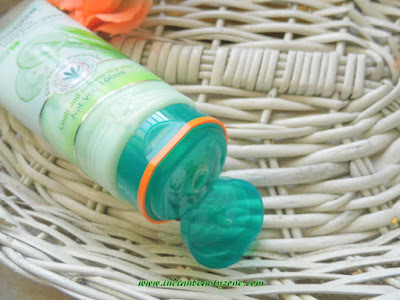 A soap free herbal formulation enriched with natural Vitamin E that gently cleanses and moisturizes. Unlike soap, your face wash will not feel dry and stretched. Cucumber cools and soothes, and Aloe Vera tones and softens your skin. Use regularly for clean fresh and glowing skin. Aqua, Ammonium lauryl Sulfate, Cocamidopropyl Betaine, Stearic Acid, Glycerin, Sodium Lauroyl sarcosinate, Glycol Stearate, Glyceryl Stearate & PEG- 100 Stearate, Cucumis Sativus fruit extract, Cetyl Alcohol, Fragrance, Xanthan gum, phenoxyethonal, Aloe Barbadensis leaf extract, Cetearyl alcohol, coco-glucoside & glyceryl Oleate, Metylchloroisothiazolinone & /methylisothiazolinone, Menthol, Tocopherol, Disodium EDTA, CI 19140, CI 42053. This face wash comes in a normal face wash tube packaging with green colour flip open cap which is travel and user friendly. Smaller sizes of this face wash also available in shops, so you can buy 50 ml package to carry with you. 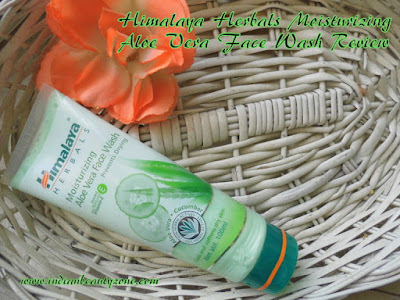 Of course an aloe vera face wash will be in green colour, yes it looks refreshing green in colour through tube and it is very creamy and thick. It smells herbal like fragrance and it is mild. I didn't used this face wash regularly, but used it particularly when my skin felt so dry during last year winter season. The face wash is so creamy and thick in texture and when you try to mix it with water to lather it dissolves unevenly if you pour more water. The trick to use this face wash properly is to add less water with the face wash paste and lather it slowly, then you can make use of the whole part. It lathers moderately which is enough to handle to skin'r day to day impurities. This face wash cannot be use as makeup cleanser as I didn't try it with water proof makeup. 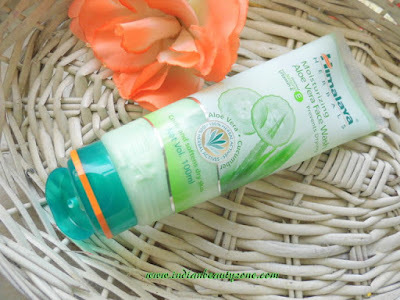 But this face wash cleanse the face well and leaves it soft and smooth, it works great as a regular face wash, you cannot expect more than that from this product. 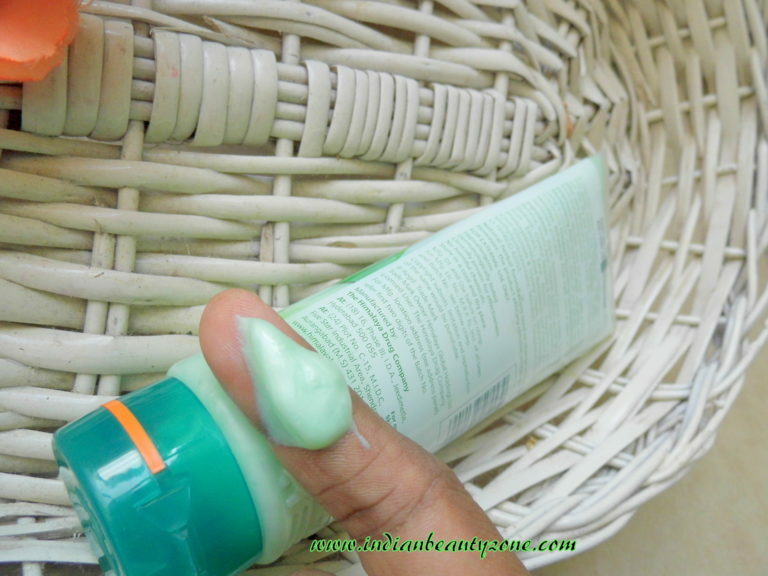 It helps to retain the moisture of the skin and cleanse it well also. It doesn't makes the face oily or greasy look after washing instead it makes the face looks fresh and smooth. Overall i liked this face wash as a good moisturizing face wash for a dry sensitive skin, it gives a soothing and cooling sensation to the skin as well. Easily available and affordable price. Leaves the skin fresh and soft. Keeps the moisture lock into the skin if used continuously. Helps to relax dry skin. You may need more quantity than other face washes as it is creamy. Oily skin people cannot use it during summer. Himalaya Herbals Moisturizing Aloe Vera Face Wash is a good face wash for dry skin people who can make use of its benefits all round the year where combination to oily skin people can try this during dry weather. 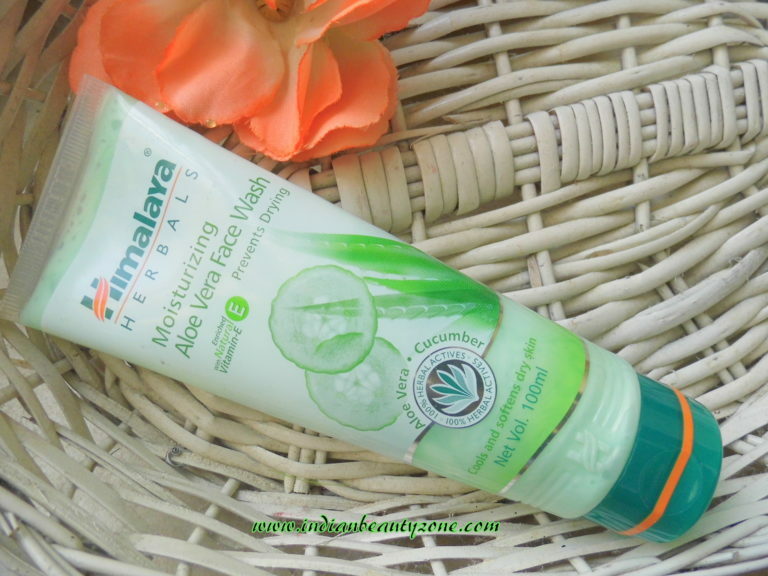 It is a good moisturizing face wash that helps dry skin problems.